The Hitachi 6.01 GB hard drive allows users to easily increase the storage capacity of laptop computers. The Hitachi DK23AA-60 is an internal storage device that has an Ultra DMA ATA-4 configuration and connects to a wide variety of notebook machines. 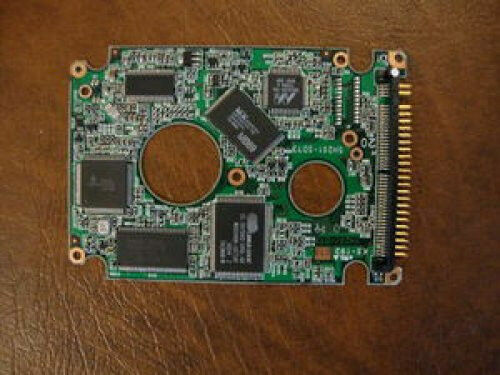 The internal hard drive is 2.5 inches tall and ideal for large capacity slimline laptops. The Hitachi 6.01 GB hard drive has a 10.7 GB per square inch areal recording density for fast data writing. The Hitachi DK23AA-60 also has a 16.6 Mbpsmaximum interface transfer rate in PIO mode 4 and offers speeds up to 66.6 Mbpsin Ultra DMA mode. Additionally, this internal hard drive has a 512 KB rewriteable segmented cache and offers a rotational speed of 4200 RPM. The Hitachi 6.01 GB hard drive produces 27 dB of sound on average and offers quiet performance. The Hitachi DK23AA-60 uses 0.8 watts of power in idle and offers users significant reduction in energy use. The internal hard drive is perfect for adding extra storage space for pictures, movies, documents, and music.